After getting the Spar 88 in a variety of conditions this season, we wouldn’t change a word of that description. But here is our more detailed look at this versatile all-mountain ski. The Spar 88’s shape is pretty traditional, but there are a couple things that make it stand out a bit from many of the other skis in its class. First, is the taper in the Spar 88’s tips — it has more tip taper than the Blizzard Brahma, Head Monster 88 Ti, Atomic Vantage 90 Ti, Armada Invictus 89Ti, and Renoun Z-Line 90. The Spar 88’s tip taper isn’t super dramatic, but its tips do look more like those found on wider skis like the Nordica Enforcer 93 and J Skis Masterblaster. Second, the Spar 88’s rocker profile is also a point of differentiation. The Spar 88 has a pretty deep tip rocker line, and its tail rocker line is also deeper than many other similarly narrow skis. We think the Spar 88’s shape and rocker profile are a big part of what makes this ski particularly versatile, which we’ll get into below. This flex pattern isn’t that surprising or unusual for a ski in this class (other than, perhaps, how soft the tips are). Overall, the Spar 88’s flex pattern feels smooth when flexed by hand. The back end of the ski is significantly stiffer than the front half, but that isn’t all that uncommon in more frontside-oriented skis. Sam Shaheen on the Folsom Spar 88, Telluride, CO. 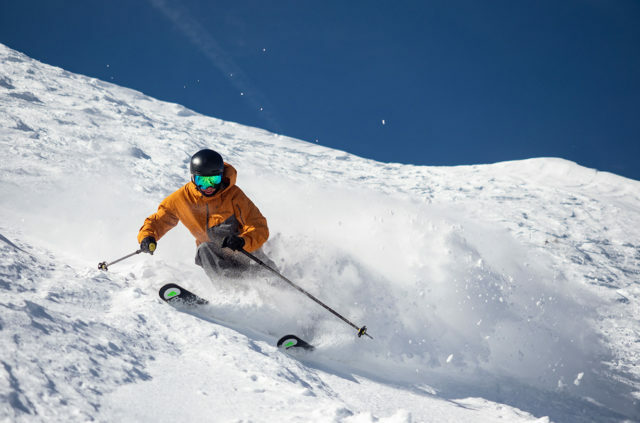 In comparison to some other skis in the category, the Spar 88 feels a touch softer overall than the Blizzard Brahma, the Head Monster 88 Ti, the Renoun Z-Line 90, the Volkl Kendo, and the Armada Invictus 89 Ti. Surprisingly, the flex pattern of the Spar is somewhat similar to the Blizzard Rustler 9 — though these skis have very different shapes and rocker profiles, so they don’t feel very similar on snow. While the Spar 88 lacks the metal-laminate construction of some skis in its class like the Blizzard Brahma, K2 Ikonic 84Ti, and Head Monster 88 Ti, it is not a super light ski. And we think that is a big part of why we like the Spar 88’s on-snow performance. Most people aren’t breaking out their 88mm-underfoot skis when the snow is super soft and forgiving, and a bit of weight often helps on really firm, rough snow. For reference, here are some of our measured weights (per ski in grams) for a few notable skis. As always, keep in mind the length and width differences of each ski listed to keep things more apples-to-apples. 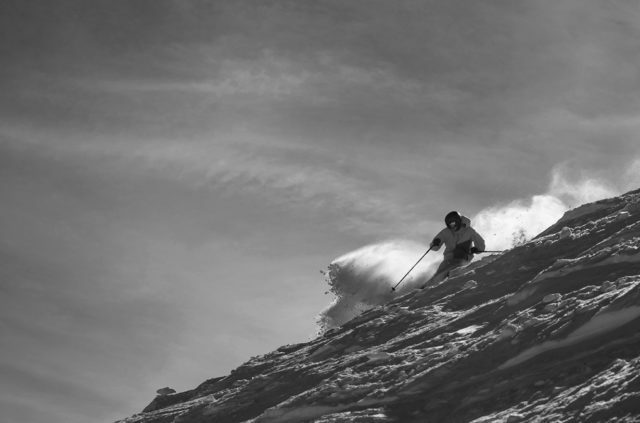 Sam Shaheen (5’10”, 140 lbs): The Spar 88 feels instantly intuitive and easy on groomers. Without thought, I was putting the ski up on edge and trusting it on the first runs I took. I test a lot of skis (I mean, seriously, a lot of skis). And usually, when I get on a new frontside ski, it takes a little while to adjust. Each ski has a slightly different sweet spot, requires a slightly different stance, and / or requires a different amount of input to ski. Sometimes, I get on a new ski and it feels intuitive because it’s a forgiving ski with a big sweet spot (e.g., Liberty V series & Blizzard Rustler 9). Sometimes, I get on a new ski that’s more demanding but still feels intuitive because it matches well with my natural skiing style (e.g., Volkl Mantra M5). And sometimes, I get on a new ski that just instantly feels good for no easy-to-pinpoint reason (Blizzard Brahma, J Skis Masterblaster, K2 Ikonic 84 Ti, and also the Mantra M5). 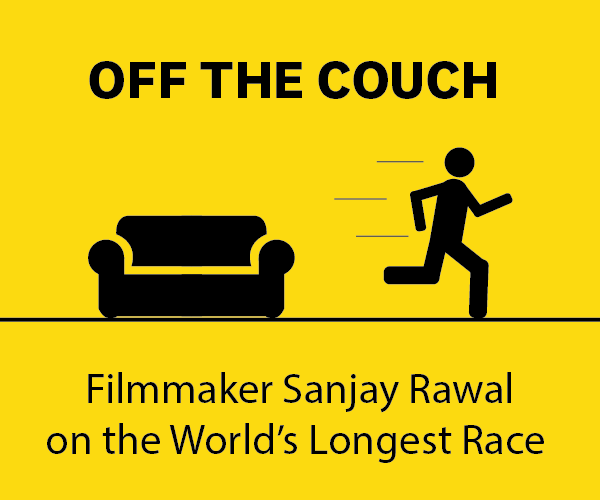 The Spar 88 falls into this last category. The Spar 88 is a ski that just feels good from the first turn. It wouldn’t be my top pick for laying railroad tracks on truly icy groomers, pushing hard arcs on really steep runs, or reaching Mach speeds. But in the category of narrower all-mountain skis, the Spar 88 does a wide variety of things surprisingly well. Its noticeably tapered tips do result in a very slight vagueness in turn initiation when compared to skis that have more traditional tip shapes — I don’t get sucked into a turn on the Spar 88 quite as much as I do on a ski like the Mantra M5, for example. But the Spar 88 is also pretty easy to break free and feather speed while in a turn, especially when skied from a more forward, driving stance. Though it isn’t as strong as some of the skis in the category, it has a surprisingly high top end — not “Head Monster 88 Ti” high, but high enough to get my blood flowing. At the same time, the Spar 88 is relatively forgiving of mistakes. 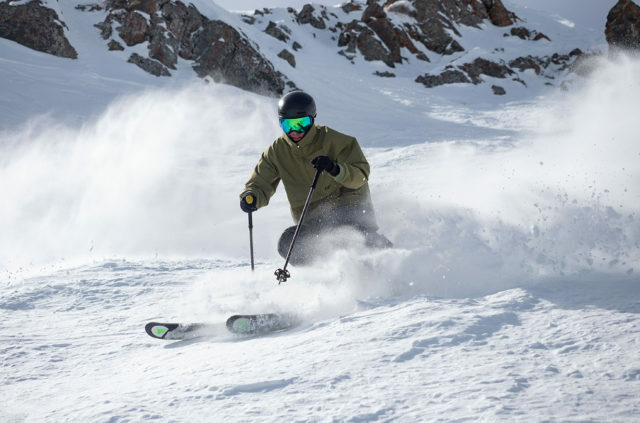 Advanced and Expert skiers will be able to push the Spar 88 hard (and if you’re a bigger, more aggressive skier, I might recommend having Folsom stiffen the ski a touch), while I think an eager intermediate will be able to progress quickly on the Spar 88. The more I ski this ski from the backseat, the less forgiving it feels. In other words, the Spar 88 rewards good technique. But I think that the Spar 88 is a good ski if you want to improve your technique since it has a large sweet spot and an accessible flex pattern. Jonathan Ellsworth (5’10”, 175 lbs): I agree with virtually everything Sam says here, and all of us literally commented after our first runs on the Spar 88 just how good the ski felt. 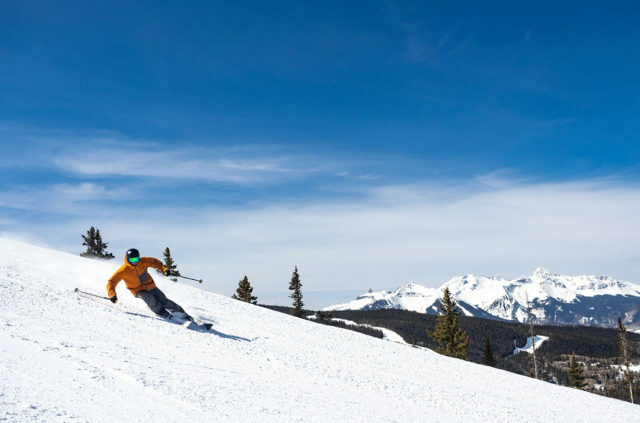 Heavier skiers / ex-racer types who really are looking to carve up groomers at flat-out speeds may want to go stiffer than the stock version of the Spar 88. Then again, if best-in-class stability is the only thing you really care about, you could just get a Head Monster 88 Ti — or stop screwing around altogether and get a 68mm-wide Head i.Speed Pro. For everyone else who doesn’t place supreme stability as a top priority, I’d be reluctant to recommend deviating too far from the stock constructions, for a bunch of the following reasons…. Sam: With the caveat that the Spar 88 isn’t the type of ski I generally prefer in bumps, I do think that most people will get along well with the Spar in everything from zipper-line bumps to funky, off-fall-line monsters. The Spar 88’s shovels are quite accessible (and not hooky), so ramming the front of the Spar 88 into troughs is predictable. The tail is quite supportive, so if you get backseat, there’s enough ski behind the binding to help you back to a proper stance. The Spar 88 feels pretty light underfoot. 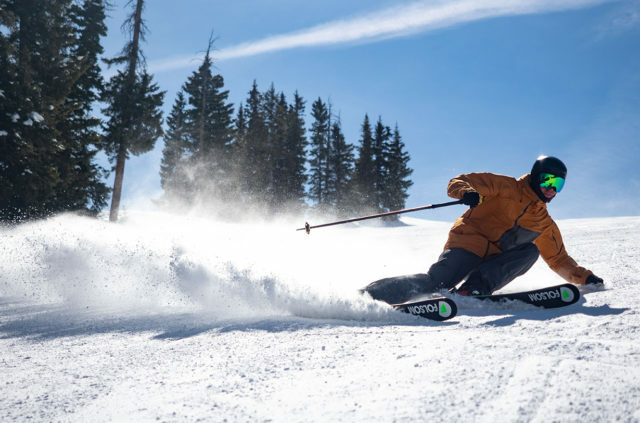 The swing weight is quite manageable and the ski is pretty easy to flick side to side and make fast turns (though not as easy as lighter, more tapered skis like the Black Crows Orb). If you like to ski bumps at very high speeds and with a dynamic, active style, then the Spar 88 might feel like it has a bit too much sidecut in some situations (you know who you are). But for the vast majority of skiers, I think the Spar 88 will be a capable bump machine. And given that there are a lot of ~88mm-wide skis out there that are not very fun at all in bumps, that’s part of what makes the Spar 88 a particularly versatile narrower all-mountain ski. Jonathan: I feel a bit less inclined than Sam to state warnings about the sidecut of the Spar 88 in moguls. Instead, I would want to underscore that for the vast majority of skiers, I think this is one of the better (and maybe I should say here, “one of the best”) 88mm-wide skis I’ve been on in moguls. As we noted above in the “Groomer” section, you can certainly find more tenacious carvers that will hold an edge better on ice. But I would rather ski the Spar 88 in moguls than any one of those more-tenacious-ice carvers. So I give the Spar 88 big points for how fun it is to carve on snow that isn’t bulletproof hard, and how good and intuitive it feels in moguls. 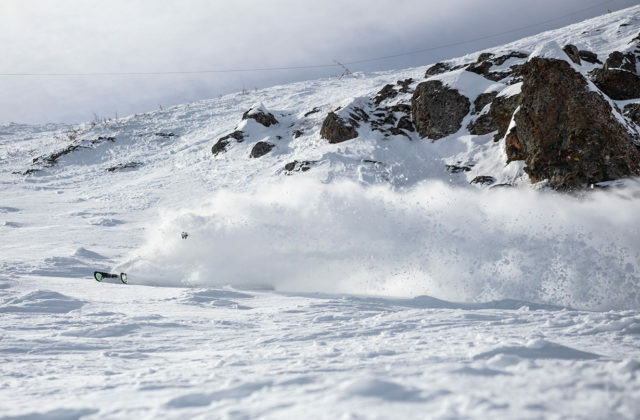 Sam: Off-piste conditions are where the Spar 88 really differentiates itself from skis like the Z-Line 90 and Monster 88 Ti. Whether it’s the softer flex pattern, more forgiving tip shape, and / or combination of the two, the Spar 88 feels quite comfortable in off-piste conditions (think smoother chalk, shallow crud, etc). That’s not to say that the Spar 88 is an off-piste-specific ski — the most impressive thing about its off-piste performance is how comfortable it feels off-trail while still being such a fun and capable carver. 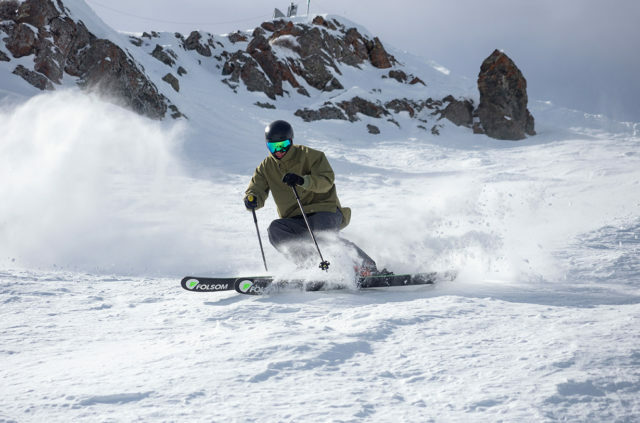 There are a few skis in this category that feel more at home in off-piste conditions, but none of those skis have the on-piste capability of the Spar 88. As long as the snow is supportive and not too soft or punchy, I’m very happy pushing the Spar 88 hard off-piste. It tracks predictably through shallow variable and is nimble enough to navigate tricky / tight terrain. Though if the snow gets a little punchy, I’d generally reach for something wider. Jonathan: Yes to all of the above. Sam: Let’s be clear — at 88 mm underfoot, the Spar 88 is not designed to excel in deeper variable snow and chop. But in the course of my testing, I did find myself skiing ~8-12 inches of heavy, windblown chop and deeper variable snow. In these conditions, I definitely wanted a wider ski. But the relatively soft front half of the Spar 88 did a pretty good job of keeping the tips planing. I did have to move my weight pretty far back on the ski (which in turn, makes it hard to release a turn). But all things considered, the Spar 88 did pretty well in these conditions — though it definitely wouldn’t be my first choice. The Spar 88 would be an excellent option if you are looking for a narrower all-mountain ski that can do double duty in bumps and off-piste terrain. 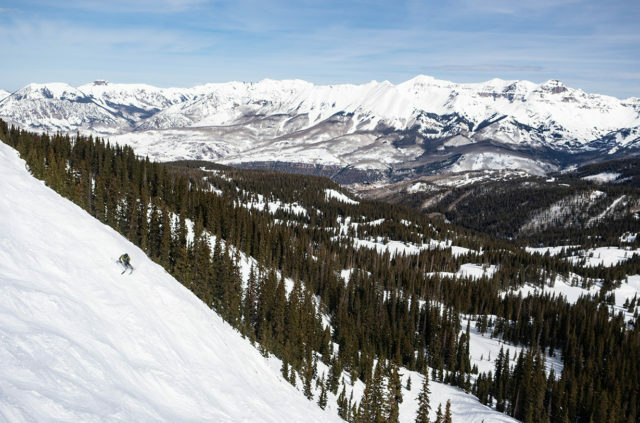 The more your preferences start to tip further and further toward groomers or far more toward moguls and off-piste skiing, then there are probably better, more purpose-built options out there. But the more you care about groomer performance and moguls performance and off-piste performance (when it hasn’t snowed in a while, or that fresh snow is only a few inches deep) the more we think the Spar 88 is worth a very close look. For experts looking for a super damp, high-speed, firm-snow destroyer — there are heavier, stiffer, better options. Beginners or low intermediates who are just learning to tip a ski on edge? There are more forgiving options out there — but there are also many far, far worse options out there, too. But for everyone from mid-level intermediates who want to up their carving game to experts who prefer a more forgiving and extremely versatile ride, the Spar 88 is a blast. The Folsom Spar 88 is a very intuitive ski that does a great job of balancing on-piste and off-piste performance, and feels quite comfortable all over the hill. 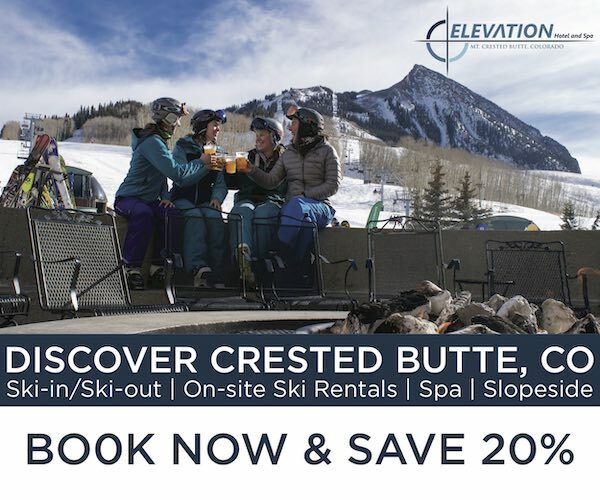 Become a Blister Member or Deep Dive subscriber to check out our Deep Dive comparisons of the Spar 88 to the Blizzard Brahma, K2 Ikonic 84 Ti, Nordica Enforcer 93, Renoun Z-Line 90, Atomic Vantage 90 Ti, Armada Invictus 89 Ti, J Skis Masterblaster, Black Crows Orb, and Head Monster 88 Ti. I’m looking to replace a pair of 180cm Rossi Exp 88 – four or five years old I think (black with the lime green window section in the shovelJ. I’m 5’10” about 195. I’m certainly a strong skier but I don’t get up to anything crazy terrain-wise. Probably 80/20 on/off piste. I generally ski with my ten year old son. Lots of groomers with forrays into bumps and trees plus some meaningful steeps. We generally ski mostly at Stowe and typically 15-20 days per. I’m aiming for something of a one-ski all purpose animal. Teh folsom has me intrigued. I’m not super aggressive but I like to carve a good turn and the turn radius of teh Rossis (17m) feels pretty good, i tend to mix up my turn radii. I like to be able to ski hard and not overski my equipment but also don’t want something that will beat me up too much if I get a bit lazy. I have tended to find the older Brahma more work than I wanted as an example. Obviously the folsom is a pricey animal so what thoughts would you have to recommend? I’ve thought about the DPS Cassiar 87 or the Liberty v92 and many others. Any suggestions would be welcome. Thanks! Hey! The Spar 88 definitely feels a lot like a toned down version of the Brahma. I have only skied the Cassiar 94 foundation, but that ski feels a bit more off-piste oriented than you’re describing here. The v92 is a fun ski and very on-piste oriented (the shovel is pretty low and has no taper which makes the ski feel a bit out of place off-piste). Though they are both a bit wider, I’d take a look at the Nordica Enforcer 93 and the Volkl Mantra M5. Both are fairly strong skis that are also pretty forgiving (size down if you’re worried about them being too much work). However, in the ~90 mm underfoot category, we haven’t been on a ski that feels as forgiving and as versatile, while still being able to hold a strong edge, as the Spar 88. I’d also try the latest Rossignol 88, named the Experience Ti, which feels like a toned-down Blizzard Brahma too. Rossignol redesigned the ski for 2018-19, but I don’t believe Blister has had a chance to review it yet. As I read this review of the Spar, I felt like it could be copied and pasted for the Rossignol. Versatile, fun, forgiving ski, but capable at speed in challenging terrain too. I skied the new Rossignol everywhere from Snowbird to Whistler this year, and it was out of place only after one big dump of snow. Even then, it was surprisingly good, though ideallly I would have had something wider. In anything up to a few inches, and particularly on groomed and moguls, it’s a blast.